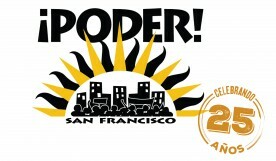 PODER | Support AB 523! Today! AB 523 (Reyes) is coming up to a vote in the Assembly. Although it passed the floor with 51-20-9, we heard today that the Bay Area Caucus is not going to support our bill. 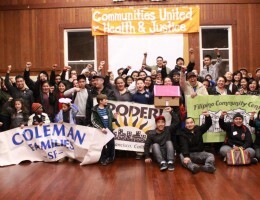 We are looking for constituents in the Bay Area to call their legislators today to urge their YES vote. Please help get our bill to the Governor’s desk by calling your legislators, tweet at them, and sharing with others in the Bay Area. A sample script is below. Hello, my name is _______ and I live in _______. 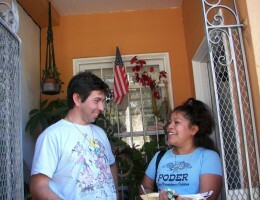 I am calling to urge Assemblymember ________ advance energy equity in California. This bill is adopted from a recommendation by the California Energy Commission in their SB 350 Barriers report. 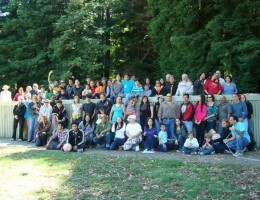 Although disadvantaged communities make up 25% of the state, the fund has only funded 14% of disadvantaged communities. 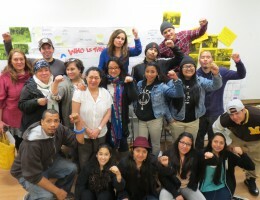 We know that frontline environmental justice communities are the most impacted by harmful fossil fuel production, and are not getting the full benefits of clean energy innovation for a healthier transition. 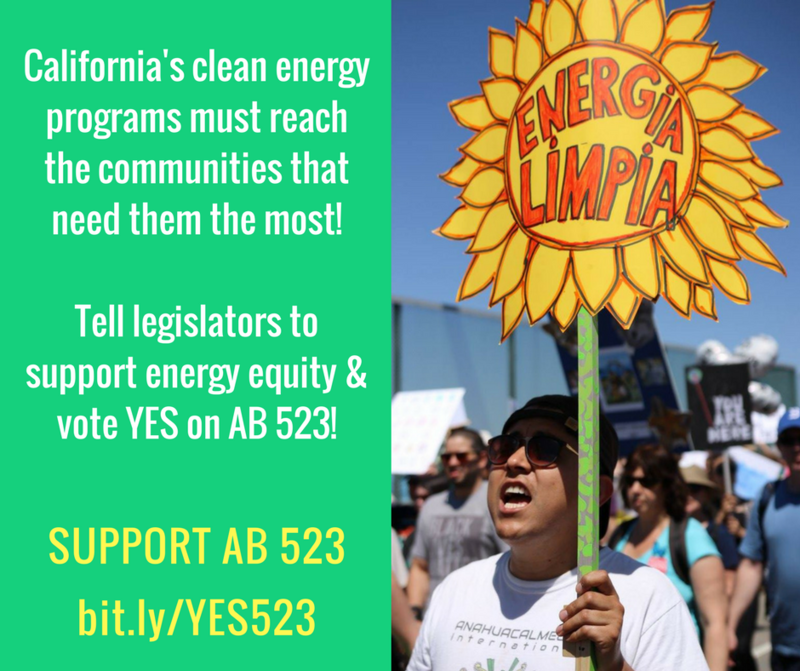 We need our legislators to stand strong with our environmental justice and low income communities by saying YES to AB 523 (Reyes).